Q. 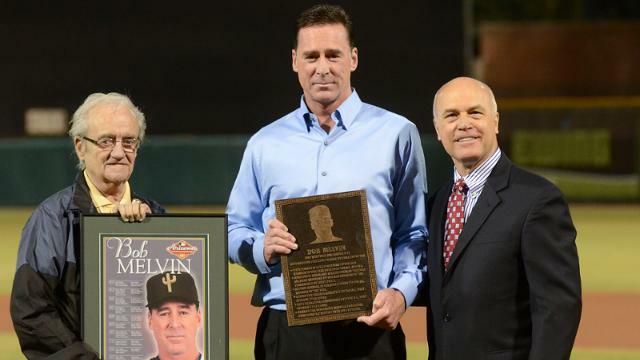 You have been the Executive Director of the Arizona Fall League since 1993. The Arizona Fall League, or “AFL”, is a fall baseball league owned and operated by Major League Baseball. The league is a showcase and building block for the top prospects mostly at the Triple-A and Double-A levels. Besides the weather what about the AFL excites you? A. I enjoy working with the “future of Major League Baseball”. Most first-round draft picks make a stop in the AFL before reaching the major league ranks…and my role involves very little travel which I truly appreciate after several years of travel with the Cincinnati Reds as the team’s Traveling Secretary…So the top prospects from all 30 major league organizations play in my home city, so to speak. Q. How are the teams picked and who decides who plays in the AFL? Do the selected players receive additional pay outside of their regular contracts or is playing in the league considered a benefit to the players? Q. Currently you and the Arizona Fall League are in the thick of your season (Their championship game is on Saturday, November 15th). How are things going this year? Q. You have been around baseball pretty much all of your life. Can you tell me a good baseball story? Q. Aside from the AFL you have been part of the Daytona Beach Astros, Columbus Clippers, Cincinnati Reds and the 2000 Olympic Gold Medal baseball team. You were also the Associate Director of Athletics at Xavier University from 1987-1993. As a sport management major your resume has me drooling. At what point did you decide you wanted to go into sport administration and why did you choose that particular field? A. After playing Division III baseball at the College of Wooster, it became increasing clear to me that I was not going to be drafted in baseball and that I should consider going to Graduate School since so many of my college friends were going on to Graduate School. So, I found out about a new emerging Master’s degree in Sports Administration at Ohio State. I applied and was accepted into the second Sports Administration class at Ohio State University. It proved to be the springboard for my front office career in baseball because Ohio State had an exclusive “internship” arrangement at the time with the Columbus Clippers organization. And I had the opportunity to learn and meet people in the baseball industry who helped bridge me to other decision-makers in the baseball industry. Q. Your undergraduate degree is from The College of Wooster. What other schools were you considering and what led you to choose Wooster? A. Upon graduating from high school, I wanted to play both football and baseball. Actually, I was considering Wittenberg because they seemed the most interested in me playing defensive back for their football team, but their baseball program was lacking. Marietta recruited me aggressively to play baseball, but their football program was so-so. The College of Wooster was one of the few schools that recruited me to play both sports. I was an above average student so I thought it would be a good fit…which it proved to be. I received a quality education and had a chance to participate in both programs. I learned early on that I could compete, but that I was a very average college athlete. My education became a priority for me since I was the first person on either side of my family to ever attend, and ultimately graduate from college. Getting my college degree was very significant to my family and me. Q. Seeing as how I am interviewing you for the Hilliard Davidson football website I should probably ask you a few Hilliard football questions. Which opponent did you love to play against in high school and why? A. I always loved playing against the Grove City Greyhounds in football. It was a great rivalry and fun to compete against several guys that I knew growing up and competing against during youth leagues. My favorite opponent was Grandview…because we never lost to them! Q. Do you have a favorite Coach Mac story? A. During one of our first football games my junior year, a wide receiver got behind me and I had to back-pedal extremely hard to catch the player before he reached the goal line. Coach Mac immediately pulled me out of the game and chewed me out like there was no tomorrow and made it very clear that nobody, I mean NOBODY, should ever get behind me again as a safety or his size 15 shoe will find a permanent home in my rear end. Needless to say, that never happened again. What a great coach, but scared me to death early on!!! Q. What was your favorite Hilliard "hot spot"? A. I always loved going to “Luigi’s Pizza” after a team win!!! Q. Do you ever get to come back to Hilliard or are you confined to Arizona now? A. I seldom get back to Hilliard simply because my parents moved out of Hilliard about twenty years ago to New Lexington, OH. So, when I fly into Columbus 2-3 times a year, I go straight to their home in southeast Ohio. Q. If you had any advice for the current players what would it be? A. Enjoy your high school playing days…They are over in the blink of an eye! And when you face a career decision, choose something you are passionate about…that’s what will get you out of bed each morning, motivated to give it your best efforts!